At around 1.30 am, 6 August 2015, the Dragon Air flight no 269 enroute from Hongkong made preparation to land at the Netaji Subhash International airport, Kolkata. On board was precious cargo of 3 gold medals, 1 silver medal and 2 bronze medals. Carrying this national treasure were 7 athletes from West Bengal who were part of the Indian national team which represented India at the 2015 Special Olympic World Games in Los Angeles. Of them four had won medals- Supriya Saha (1 Gold-athletics), Masuk Mollah (1Gold, 1 Silver, 1 Bronze-cycling), Shahnawaz Khan (1 Gold-softball) and Surajit Debdas (1 bronze-athletics). Special Olympics is a global sports meet held every four years for people with intellectual disabilities like Aspergers and Down syndrome. This is a global march towards inclusion of people who have been pushed to the society’s fringes. Formatted on the mainstream Olympic framework, countries compete for national pride and honour. This year at Los A,ngeles , USA, 6,500 athletes assisted by 2,000 coaches representing 171 countries competed in 30 disciplines across 28 venues. The 2015 edition of the games was one of the largest sports and humanitarian event ever. These are rare moments for India (and for that matter West Bengal), when its sportsmen climb the winners podium in global competitions. One had expected a large crowd at the airport to receive India’s latest Olympic champions. The team wearing official Indian jersey with India proudly emblazoned and the medals around their necks walked through the arrival hall at the Kolkata airport unannounced and in complete oblivion. A city where protest rallies are held at the drop of the hat with thousands marching on the streets, Kolkata failed to congregate to celebrate a national honour. At the exit gate stood a handful of people – the families of the athletes, the coaches and a few mentors who had persevered, sacrificed and worked hard to make these athletes world ready. Amongst the medal winners in the group was one lone girl Supriya Saha who brought back for India a gold medal in the brisk walk category. Supriya is 18 years old and born with Down Syndrome. 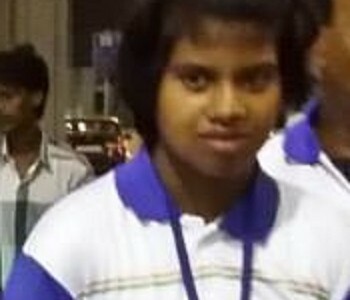 She was the lone girl from West Bengal who made it to the national team for the 2015 special Olympics at LA. Supriya on seeing her mother rushed and both embraced each other with tears of joy in their eyes. It is said that more the challenges you overcome, more is the exhilaration at victory. The mother and daughter duo had started their pursuit for a place in the national team about a year back. They had not pursued victory, they had pursued honour, pride , self confidence and more importantly inclusion into the mainstream . Witness to this celebration at the airport were Supriya’s father Balaram Saha, brother Sayan and Suprya’s mentor Shri Prasad Sen who is associated with Mentaid, the school for special children where Supriya studies. Preparation for special Olympics is no less compared to an athlete training for the regular olympic competition or a cricketer practicing for the world cup. The hard work is the same, the butterflies in the stomach are the same and the pride of representing the country is the same. However what is not the same is the recognition , encouragement and adulation. Somewhere we forget that an effort of a special child is no less. Supriya comes from a not so well off family . Her father runs a small grocery shop, mother is a home maker and brother studies in class VI. They live in their small tenement in Behala locality of Kolkata. Soon after Supriya’s birth , the doctors had pronounced Supriya to be a special child with intellecutal disabilities. Doctors elaborated that the baby would be a slow learner, but she will learn. The baby’s mother, Protima, took some time to grapple with this. The baby’s grandparents counselled that every special child has a place in this world, and has a right to be nurtured and cared for. They added that maybe one day the child will do something extraordinary. Those words which at that time seemed platitudes , today appear prophetic. The family named the baby girl Supriya, which in bangla means beloved, cute, adorable, lovely. The family gave whatever was possible within their means to Supriya. When Supriya was 6 yrs old, Protima( Supriya’s mother) took Supriya to Kolkata’s famous Manovikas Kendra which has facilities for education for intellectually disabled children. The counsellor at Manovikas Kendra recommended that Supriya be admitted to an excellent special school being run by Mentaid at New Alipore close to Behala where the family resides. Over the years this 6 year old girl has flowered into a young lady under the care of her teachers at Mentaid. Here she learnt to paint, sing and the basics of letters and numbers. She was also taught to be self dependent, to be able to express and being a girl child aware of self protection. At home she is an enthsiastic help in hosehold chores and like any other elder sister extremely protective of her kid brother. Formal training in athletics was never a part of the regimen at Mentaid. Supriya’s place in the national team happened due to a small nudge from hand of God. West Bengal, as for other states in the country , organises sports meet for special children . In 2013 the State meet for special children was held at the Yuva Bharati Krirangan, Salt Lake, where Mentaid team also participated of which Supriya was a member. It was a routine affair, not much training was given, neither was there much expectation from the team. However to the surprise of the school , 4 students from Mentaid brought back medals. The followup to this was something unprecedented. The four medal winners were selected to represent West Bengal in the national meet for special children held at Jawahar Lal Nehru stadium, Delhi in 2014. Supriya was slotted for shotput and 100 m sprint. This was a big stage where she was not only competing with the best in the country but unknown to Supriya, her parents and well wishers, the national selectors were closely watching. Supriya became the national champion in shotput and came second in 100 m sprint. Her state West Bengal was in the medal rankings. More suprises were waiting, Supriya along with 6 other athletes from West Bengal were asked to attend the national camp at Hyderabad. The national camp was being held to select and prepare the Indian team for the Special Olympics to be organised at Los Angeles, USA. Supriya was in the race for a slot in the National team. This was not charity, the team was to be prepared to win medals and get India on the winning podium. The same care, process and seriousness went into the selection of this team as it is done for the mainstream Indian teams going for international competitions. National pride was at stake and only the best would make the cut. In the Hyderabad camp, the national selectors and coaches closely calibrated Supriya’s athletic abilities and she was allotted the 800 mt brisk walk and 400 m sprint. These events the experts thought Supriya had the most potential. They were so right. After Hyderabad, Supriya was asked to attend three more national camps at Barielly, Rohtak and Chennai, In each subsequent camp the initial list of probables was being pruned and only the best medal winning prospects retained. After the Chennai camp culminated, the final configuration of the Indian team emerged, and Supriya was in the ranks. She has earned for herself the honour of donning the National colours- the Team India track suit. After the first national camp at Hyderabad, it had became clear to Protima(Supriya’s mother) and Shri Prasad Sen( Supriya’s mentor) that if Supriya had to make the cut, she would need special training. It was no longer about attending a neighbourhood athletics meet, it was about a place in the national team. However there were no resources for hiring a coach, Supriya’s family could barely manage to meet the ends. There were no benefactors , no one was ready to put their bets on Supriya. Mr Sen through his contacts contacted AoA, an athletics coaching academy at Rabindra Sarobar Stadium Kolkata, who agreed to provide coaching to Supriya free of cost. The rigorous training regimen started , which would go on for next one year. Protima would wake Supriya up by 6.30 am in the morning and make her do limbering exercises and jogging as recommended by the coaches. The morning stint would be done on the roof of the house. At 8.30 am Supriya would leave for school and by 2.30 pm afternoon Protima would collect Supriya from school and the mother daughter duo would leave for coaching to Rabindra Sarovar stadium. The coaching would continue till 7 pm in the evening. The two would reach home only by 9 in the evening. This routine continued may it be rain, cold or the sun. Shri Prasad Sen, mentor of Supriya . 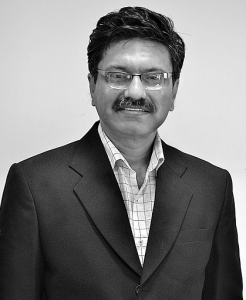 Shri Sen is an avid trekker and is associated with Mentaid. There were no training allowances or any financial aid in the offing. An athlete along with training requires nutritious diet and supplements. The daily travel to and fro from the coaching venue would cost Rs. 30/day. There was not much money left for buying supplements , fruits and high protein diet. 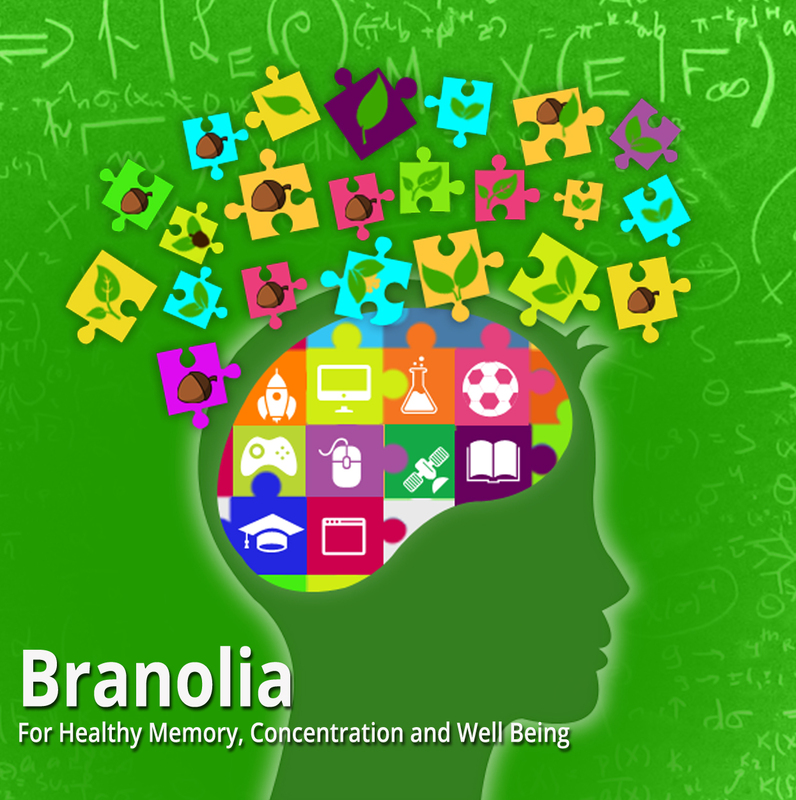 Protima every evening would give her daughter soaked gram , a home based formulation which is believed to give energy. There was also no special gear, a simple sports shoe was all that the family could provide for. This is a sad commentary on trying to create an Olympic champion out of pocket money. Compensating these hardships was the indominitable stubbornness in Supriya to accomplish things she sets her mind on. Never did Supriya say I will not run. Protima herself a basketball player in her younger days understood what it takes to be a good sportsperson and encouraged Supriya and provided whatever the family could afford. This did mean that other family chores many a times got delayed, many expenses were curtailed. The entire credit of Supriya’s success goes to her mother Protima. Protima had faith in her daughter and was ready to do whatever it took to see here child where she rightfully belonged. Prime Minister Narendra Modi while replying to a question from Sonia Yellappa Patil another special Olympic gold medalist from Goa during Teacher’s day interaction said “Whenever a woman shines on the sports field, the mother of the child has a very important contribution. Sonia is a child with special needs. I congratulate her,”. Prime Minister was on the dot. The defining moment came when national team kit arrived . It had the Indian jersey, track suit, running shoes , accredition cards and list of articles that had to be taken by the athlete. While Supriya could not really fathom the enormity of the achievement, tears of joy streamed down Protima’s eyes. Parents of the classmates of Supriya pooled in money for buying clothers that Supriya would need at Los Angeles. Some benefectors gave financial help so that the family could buy nutrition supplements and protien rich diet for Supriya to the run up for the games. Supriya was part of the Indian contingent which comprised 328 athletes and coaches in 14 disciplines. The team entered the march-past of the 2015 Special Olympic Games in the filled to capacity LA Colosseum , coming in just after West African Republic of Benin. India was listed as Bharat which brought India up in the march-past line up. Walking with the team was the New Delhi born America based celebrity holistic health guru Deepak Chopra. The ESPN commentators covering the event had a very insightful comment on the size of the Indian contingent, They said that if a country of over a billion people sends such a large contingent to the special Olympics it goes a long way in furthering the cause of inclusion of intellectually disabled people in the world. 171 nations ranging from San Marino with about 30,000 population to the massive countries like China and India, stood shoulder to shoulder in this celebration of inclusion. The first lady, Michelle Obama, inaugurated the games. As the parade of nation continued in the opening ceremony of the Special Olympics, there were powerful stories of how individuals, institutions and governments have chipped in. Michael Phelps the highest ever medal winner (22 medals) in Olympics , coached the Special Olympics US swimming team. He in an interview said “ there is something special to represent your country , and these guys are like me, part of a US national team”. Romario the soccer legend persuaded the Brazilian government to fund the trip of the Brazilain Special Olympic team to LA. Democratic Republic of Congo first time ever participant in the Special Olympics was mentored by NBA basketball star Dikembe Mutombo, who walked with the team. Fiji team which also made its maiden entry with 4 athletes had the Fiji Airlines spare an aircraft to help the team acclimatize to air travel before the athletes took their long haul flight to LA. France’s Special Olympic soccer team trained with the regular French first league team Nice FC towards their preparation for the LA games. Nadia Commenecie the all time gymnast great from Rumania walked with the Romanian team at the march-past. Scott Hamilton, the 1984 Olympic skating champion , funded the travel of the Haiti team to LA. Chile sports ministry with a view to create awareness for the national Special Olympic team released a series of advertisements one of which stated “ Not that we are special, we choose to be ” – a powerful message indeed. Walking along with the Irish team was the movie star Colin Farell, cheering his country’s team all along. Novak Djokovic, the three time Wimbeldon champion and present number 1 ranked tennis player funded the trip of his home team Serbia to the Special Olympics. The Pope met the Italian Special Olympics team at Vatican prior to the team’s departure to LA and mentioned “ it is a challenge you have accepted and taken it to the field”. At the opening ceremony the athletes including Supriya took the Special Olympic oath- ‘ I will play to win, and even if I do not win , I will be brave in my effort’. Supriya did play to win. On the afternoon of August 2 2015, the athletes from an impressive array of countries lined up for the heats and the subsequent finals of the 800 m women’s brisk walk event. Supriya was amongst them. A 800 m walk meant two laps of the University of Southern Calfornia’s Loker stadium track where the athletics events were organised. In the finals Supriya was ahead of the field in her category to claim the gold medal for India. Claiming the silver medal was Ekaterina Todionova of Russia and Laurene Rice of United States won the bronze. It was a time for national pride, a full stadium cheered Supriya and India. Along with Supriya, every athlete who had stood on the starting line up was a winner, for in this world it takes a lot of guts to be different. The Indian contingent brought back home a rich haul of 173 medals, including 47 Gold, 54 Silver and 72 Bronze. No Indian Olympic team ever has achieved this feat. Supriya had delivered for the nation, but did the nation deliver for Supriya. Probably not in full measure. There was no one to receive her and her teammates at the Kolkata airport. No official congratulations has been forthcoming. No financial assistance or a public felicitation has been organised for the team in West Bengal. Media has largely ignored this feat. No one took the the time out to say “well done” to Supriya and her team mates. It is true that nothing moves India like cricket, a truth we have to accept. Virat Kohli’s hair style will continue to make news, Ishaant Sharma’s spat on the field will make headlines, and the IPL transfer fee will be a topic of discussion across the country. However blighted by the glitz and the glamour of the cricket world is a small lamp which our special Olympic team has lighted. Special Olympic gold medal is not just about winning a medal, it is about proving that those on the fringes of our society can win for India. National anthem is played at their victory, the national tricolour goes up for them. The medal is about dignity, about respect and above all about acceptance. These atheletes cannot express well about their achievements, they probably do not even realise the enormity of what they have achieved. But they have one universal human trait, they understand love, they understand encouragement and they understand a pat on the back. If we donot encourage these athletes now, it is possible that when the special Olympics are held again after 4 years, likes of Supriya might not be on the starting line up for India. This is a a risk which a country with paucity of international sports medals can ill afford to take. We are sharing the mobile number of Supriya’s mother, with the request that our readers may take out time to either give a call or leave a text message expressing our appreciation at Supriya’s success. Mrs Protima Saha’s (Supriya’s mother) mobile number is 8961332972. As a parting gift, Supriya sang for me the famous Tagore song Anondo Loke, Mongola Loke Birajo Sotto Sundoro (In the abode of joy and benevolence lies the beautiful truth). May God Bless You , Supriya. Daarun! What an encouraging story. Very well captured . well researched. God bless her and those who made it possible. God bless you all.